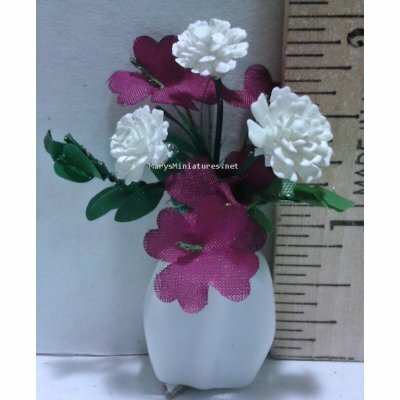 This miniature flower arrangement is White & Magenta Flowers in Ceramic Vase. The tiny vase of flowers is real ceramic, the flowers and leaves are silk and the arrangement is in 1:12 scale. This miniature White & Magenta Flowers in Ceramic Vase measures approx. 2-1/8" tall at the tallest flower and the vase is 1" tall by 3/4" wide by 3/8" deep. 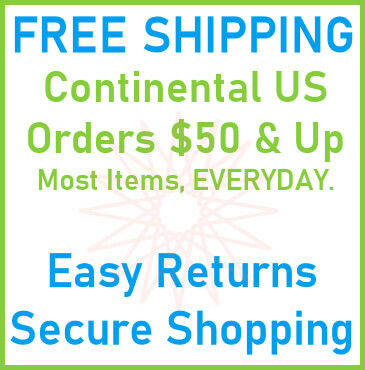 This White & Magenta Flowers in Ceramic Vase is supplied by Doll House Shoppe Miniatures, which generally ships within 1 business day(s) of you placing your order .